Who said guys have more fun the night before a wedding? If you and your entourage want to ride to that perfect restaurant you love, spend the day at a relaxing spa, have a few drinks at your favorite bar or, even if you have no idea what you want to do and you simply want to ride around until you figure it out, we have you covered. Our chauffeurs will make sure that you and your friends get to and from your destinations safely and punctually. We will even make sure you get their in style since there is no better way to arrive at a party than in our limos. We offer a fully stocked mini bar (with water as well), a sound system equipped to sync to your phone, a limo that will complement your style, an older model car that will show your sophistication, or a party bus that will take your bachelorette party to the next level. No matter what the planned events are for the night we have the vehicles to make that night a memorable one. Guys don't have all the fun the night before the wedding and with us we'll make sure your night is one you will never forget. We know you spent a lot of time planning the wedding or helping the bride make certain decisions on the wedding so this is the night to enjoy the fruits of your labor with some of your closest friends. Give us a call and let's make this night even better than the guys. 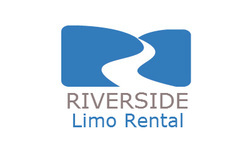 Riverside Limo Rental is here to accommodate your every need, so give us a call and let's make that last night special.